The South Hams, beautiful South Devon, officially ‘an area of outstanding beauty’; it doesn’t disappoint. Learn to surf, don nautical stripes and sail the coastline, get hiking on muddy moorlands, keep chickens, grow organic veg, have organic children, set up a micro-brewery, spend summers in a festival haze, live happily ever after...OK, getting a little carried away, but that’s the South Hams. In days gone by there were just the locals and the grockles (the English holidaymakers clogging up country lanes with caravans). Now there’s another out-of-townie to contend with, the DFL (down-from-London). The DFL’s are not just on holiday, they’re here to stay. With them comes a welcome wave of enthusiasm (they love the place), and of course, spending money. To survive in this part of the country you either need to accept that wages are rubbish and get on with it, release your entrepreneurial spirit and take on the world, or commute. All doable, and all a fair swap for the quality of life on offer. If you can hear the beating of drums, the odd chant and a whiff of incense, you’re nearing Totnes. Not on the coast but riverside, this town is full of character. Well-known as the land of bohemia, it’s built around a high street on a steep hill. Organic vegan cafes, vintage furniture and curios, plus weekly markets trading hand-carved wares, local produce and of course the odd bit of old tat. (Check before you go, there’s also a mid-week Elizabethan market that is only worth a look to marvel at its very existence.) It’s a lovely town but has changed in recent years; the barefoot hippies fresh from their silent retreats (or a festival), full of love and giving, seem to have retreated to the more rural areas. In their place are the rogue travellers with furry friends on string, squatting in local laybys and taking advantage of the good spirit and reputation of the original freethinkers. Ignore these transient fellows, the spirit of Totnes lives on; there are more homeopathic healers, aromatherapists and spiritual workshops than you can shake a stick at in this small town. And you don’t need to be an eco-warrior to live here, it just helps. To the west of Totnes, further inland, is South Brent, A small old-fashioned village with not a great deal on offer except it’s cheap and has good access to the A38. Lacks life (yawn). 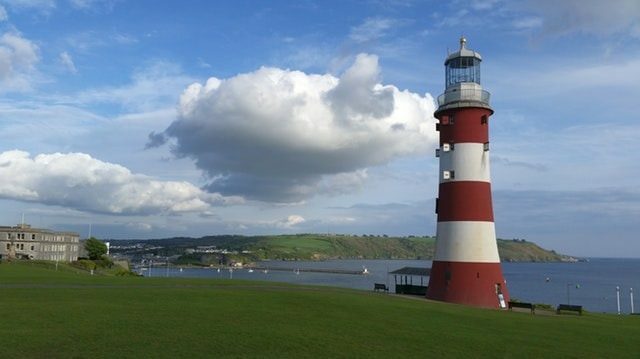 On the other side of Totnes, is Dartmouth, a famous naval town steeped in maritime history. Not very well connected but regular ferries do chug across the Dart every day. Definitely not cheap and absolutely teeming with tourists in the holidays. Some decent boutique bistros worth visiting though. Further south is Kingsbridge. Unashamedly middle-class, and very nice it is too. It’s a small market town with a picture postcard quay (note to self, buy a boat one day). Most shops are run by their owners so if you’re hoping to ‘hit the shops’ on a Saturday you may have to adjust expectations; the nearest you’ll get to a chain is Peacocks, Woolworths or Boots. More excited by Bibi or Cath Kidston, head to Salcombe. Or forget the shopping and just head to the coast; beautiful sandy beaches with organic cafes or beachshacks that sell Chablis and moules to take-away. Roll on summer! The South Hams is the most expensive place in Devon for housing, second only to the Cotswolds in the southwest. It’s the land of ‘grand designs’ and since planning restrictions have been relaxed, there’s more scope than ever for converting that barn you always dreamed of. For those less excited by footings and fixtures, ready-made ones are in abundance. For rental properties, look in or around towns; rural rentals are few and far between. For transport, forget the buses or trains; get a decent car (or just bring your 4x4 and get muddy). Salcombe AKA Chelsea-on-sea: average cost of property £670K, waterfront dwellings a bargain at £2million. This is pricier than London. Not to worry, nobody actually lives in Salcombe or Bigbury-on-Sea (not even locals these days), all the properties are second-homes. Next on the pricey list is Dartmouth. Pay premium prices for sea views, natch. Large detacheds and town houses fetch between £450,000-£1.75m. Lower end are terraces are between £160,000-£450,000. Overall average cost a snip at £380,000. Move onto Kingsbridge and it starts getting a bit more reasonable, average cost of property is around £270,000. If you can afford more, there are some palaces to be had. In Totnes an average house sells for around £250,000. And South Brent is the cheapest at £235,000. Sounds like a bargain you’re thinking, well think again. Check out the local job market and you’ll see why. If you’re looking for your ‘forever home,’ make sure you check out the secondary schools first. For some areas there may be only one choice, the local state school, and standards vary - outstanding in Kingsbridge, good in Totnes and poorer than poor in Dartmouth. The only independent secondary is the Steiner, an alternative school just outside of Totnes. The other option is to commit to a longer daily school run to one of the grammar schools in Torbay, or much further afield to an independent in Teignbridge or Plymouth. This is feasible but be prepared for even longer queues on the lanes in the run up to the holidays, plus regular weekend taxiing; your children’s friends will be miles away. Most schools do provide a free bus service but that also means there’s a distinct lack of ‘school gate life.’ Check if schools are good at communicating with parents and get involved in the PTA to keep in the loop with goings on; word of mouth (gossip) is sometimes the best source of information. Need a reason to move? Here it is; if you choose your area and schools well, money saved on school fees can be squirrelled away for university. The cherry on the icing on the cake. The best of the bunch is Kingsbridge Community College (or Kingsbridge Academy). Judged ‘outstanding’ by Ofsted. It boasts excellent facilities; over £14million has been invested in the last decade, there’s a new science block, a sixth form centre, a music centre, a large theatre and the latest technology for ICT and design. Add to that top sports facilities and impressive academic results and you can see why Kingsbridge residents look no further for a secondary school. The catchment doesn’t sprawl across large rural areas, everyone lives nearby and everyone knows everyone. This puts the school very much at the centre of the community in Kingsbridge and it is well supported. In the Totnes area there are a couple of choices. The local state is King Edward VI Community College, known as KEVICC’s. Founded originally as a grammar school it has struggled in the past but has shown significant improvements in the last few years. Ofsted judged it as ‘good’ on their last inspection. Fantastic sixth form centre set in its own exclusive location on campus, offers A levels plus a selection of courses that combine A levels with work experience, vocational qualifications and enrichment opportunities. Also offered is the Totnes Art and Design foundation course, a one-year course designed for students working towards a place on an undergraduate degree in art or design. KEVICC’s was formerly designated as a performing arts college and continues to place a major emphasis on these aspects of the curriculum, including advanced courses in dance. The other option is the Steiner School in Dartington, an alternative school for 3 to 16 year olds that educates ‘the whole child through hand, heart and mind’. It’s not just about academic development, it’s about the spiritual, physical and well-being too. It’s a philosophy based on an appreciation of nature and life. The Steiner way is a way of life, not just for your child but for the whole family, so do your homework and make sure you can commit wholeheartedly to the school's philosophy, and also the jobs; parents are heavily involved in a practical hands-on way. The outdoor classrooms, practical learning and creativity cannot be faulted, but with academic qualifications and technology low on the priority list, it won’t be everybody’s cup of tea. For those that it is, get on the waiting list as soon as possible; most year classes are oversubscribed forcing some to home-school (not uncommon in the South Hams) until places become available. The worst of the bunch is Dartmouth Academy. Despite moving into their £8.5 million new buildings in 2014, the Ofsted inspection in September 2015 described the school as ‘Inadequate’ and dropped it into special measures. There is a now a new leadership team working hard to stop the school tumbling further into decline so hopefully it will improve in time; the Ofsted monitoring report in June 2016 was gently optimistic. For now, if you live in this catchment area, the best option is to try for a place in Churston Ferrers Grammar School in Brixham, just a short ferry ride away. The good news: over-subscription worries and panics over distance from home to school are non-existent (Totnes town is the exception). The not so good news: there’s little in the way of choice. However, this could also be a blessing. Given that the large majority of schools are good, the whole process for parents is relatively stress-free. To meet the demand of an increasing population in Totnes, The Grove Primary School is undergoing extensive expansion. New housing estates have shot up in the last few years but unfortunately school numbers have remained the same. The Grove has a good reputation locally plus it was awarded an Ofsted outstanding back in 2010. The other option in town (check religious admissions criteria) is St John the Baptist Roman Catholic Primary School. Dartington C of E Primary School, having been ‘requires improvement’ according to Ofsted, has picked a good new head and is nor 'good'. Villages in the surrounding areas like Berry Pomeroy, Harberton and Blackawton all fare well with good primary schools. Follow the river down from Totnes and you’ll reach Dittisham, possibly one of the best (and most expensive) villages to live in this area, but not particularly well placed for schools; no local primary. However, Stoke Gabriel on the opposite side of the river is more reasonable and has a good school. Good village community too; lots of young families and a good spot to moor a boat (nothing fancy) and meander up to Totnes for groceries, or a pint, or both. There are two independent options; both are just outside of Totnes. Park School on the beautiful Dartington Hall Estate is an alternative school. It’s a ‘human scale’ school that gives children the opportunity to have their say in a very democratic way. In a similar way to the Steiner, the outdoor environment and creative arts are at the heart of the education. St Christopher’s Prep and Nursery in Staverton is a small, traditional prep, just 90 pupils. It has a long, successful record of preparing children for the local grammars in Torbay and Plymouth. In Kingsbridge, best to check catchment areas before you buy. There are two primary schools, one is good, Kingsbridge Community Primary School, the other in neighbouring West Alvington ‘requires improvement’ (the latest monitoring report is optimistic). For the only ‘outstanding’ school in the area you’ll need to move east towards the coast towards Slapton for Stokenham Primary School. All the other village primary schools in the area (Salcombe, Thurlestone, Marlborough, Charlton, Aveton Gifford etc) are good according to Ofsted. No independents at all. It’s a similar story in Dartmouth. St John the Baptist Roman Catholic Primary School in town and Kingswear Community School across the estuary in Kingswear are both good. If you’re after ‘outstanding’ head down the coast towards Blackpool Sands to Stoke Fleming Primary School that covers a rather rural catchment area. Again, no independents. On the edge of the South Hams border, in South Brent, the local primary school is good. From there, most pupils either head to the Totnes schools or across the district border to Ivybridge Community College (outstanding) for secondary education. All the SEN schools are in the Totnes area. Bidwell Brook is part of the Learn To Live Federation along with Ellen Tinkham School in Exeter. Set in the rural Dart Valley, it supports children from 3 – 19 years old with severe or profound and multiple learning difficulties. Throughout the school the national curriculum is adapted to suit pupils needs and abilities, and therapies include hydrotherapy, riding for the disabled, rebound therapy (trampolines), sensory room sessions and music therapy. There is an in-house medical team plus a physiotherapy and occupational therapy team. As you would expect in such a rural location, pupils have plenty of opportunities to explore the great outdoors on nature trails, forest school, trips to the beach, sailing, climbing, the Ten Tors challenge or playing in their own tree house. Back indoors, the school makes good use of technology to support learning and sixth formers are very keen on animation and broadcasting their own radio show. Nearby is The Bridge Learning Centre, also in Dartington, and part of South and West Devon Personalised Learning Service. Also rated as ‘good’ by Ofsted. The school supports 4 to 16 year olds who are permanently excluded, or in danger of being so, from their mainstream schools. It also provides education for pupils who, because of their medical needs, are unable to attend mainstream school. There are up to 30 full-time pupils with social emotional and behavioural difficulties. On their other site, Oak Valley Centre, near Paignton, there are up to 15 pupils with medical needs. Excellent range of activities on offer including rock climbing, caving, mountain biking, personal survival and swimming. The academic curriculum is currently under review. The On Track Education Centre on Totnes industrial estate is an independent day special school. Ofsted inspectors reported ‘independent school standards not met’ at the end of 2015, and in a pretty dismal report rated it 'Requires Improvement' in May 2016. In conjunction with On Track Intervention Services (there are ten centres located around the country), the school provides education for 8 to 19 year olds with EBD and related barriers to learning, as well as young mothers and young people with medical problems. Many of the pupils have been excluded from mainstream school, or have attended a number of other educational settings previously. Students work towards foundation learning qualifications in addition to GCSEs where appropriate. Work-based learning courses include vehicle maintenance, design technology, horticulture and construction.